The Midtown Arts District is an industrial neighborhood recognized as an artistic and innovative hub; cultivating artists, performers, craftspeople, makers and innovators. At the heart of the district is the internationally renowned Meow Wolf, an immersive and interactive experience that transports audiences of all ages into fantastic realms of story and exploration. This includes art installations, video and music production and extended reality content. 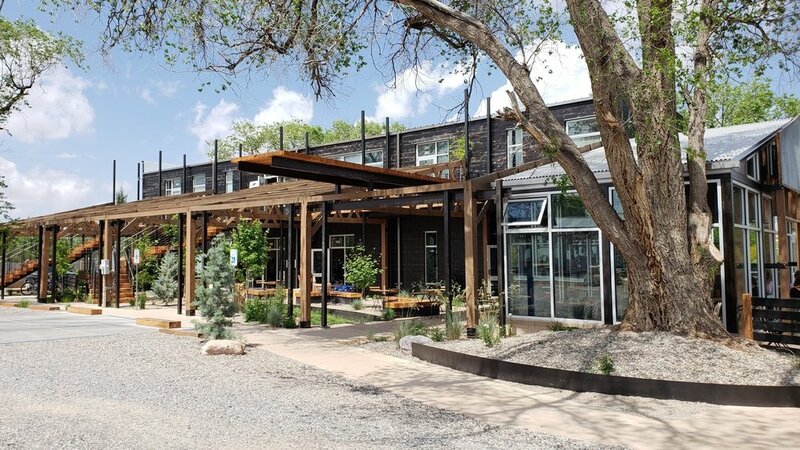 Located on All Trades Road, MAKE Santa Fe is a non-profit community workspace where people can access tools, resources and workshops in order to make, repair, invent or create anything they can dream. It’s like a gym, but with powerful tools instead of exercise equipment and skilled craftspeople instead of personal trainers. Midtown is the home of ARTsmart, a nonprofit organization whose mission is to serve our communities by providing educational opportunities in the arts that promote confidence, self-discovery and creative problem-solving skills. The Baca Street Arts District is a wedged-shaped area that marks the southern end of the Railyard and once served as a coal and fuel storage yard for the Denver & Rio Grande and New Mexico Central railways. It has come to be known as the SOHO of Santa Fe, and has developed into an area populated by art galleries, design stores, vintage clothing stores and art studios. Opunita, Duel Brewing, The Rufina Taproom and Java Joe’s coffee shop are popular neighborhood gathering spots. Galleries, music and performance venues make this a favorite destination for those seeking to experience an alternative side of Santa Fe. Also worth checking out: Baca Street Pottery, Reflective Images Jewelry, Molecule Design, Gray Matter and Liquid Light Glass.